In an on-going effort to provide up-to-date technology that’s user-friendly, Tortal Training, a division of Ingage Consulting, announced its latest enhancements to its Learning Management System: enhanced mobile access; saved report sharing; and bread crumbs tracking. 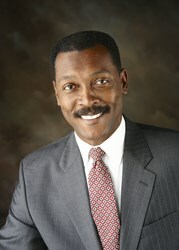 Cordell Riley, president of Tortal Training. We are always looking to improve our Learning Management Systems and creating easy-to-use software that’s even more convenient is one of the many ways we can assist our clients in getting the most benefit out of their customized training programs. Tortal Training, a division of Ingage Consulting, based in Charlotte, North Carolina, is a leading online training solutions provider that works with organizations to deliver efficient and effective online training, reducing overall training costs and providing cost effective online alternatives for organizations that are faced with regulatory compliance training. Whether it’s operational, sales, or seasonal, Tortal creates comprehensive turnkey systems. Overall, Tortal Training has successfully built more than 5,000 custom online training programs, many of those nationally recognized brands. For more information, please visit http://www.tortal.net or call (704) 323-8953.